Trust in business is starting to make a comeback from historic lows during the Recession, according to the 2010 Edelman Trust Barometer research.Â Itâ€™s a fragile trust, the report tells us. Those surveyed say that after the economic pressure is off, they expect business to go back to unbridled self-interest. In other words, they donâ€™t really trust business â€“ not for the long-haul. At a Young Presidents Organization event last week, members said that â€œtrustâ€ was their number one concern, regardless of the specific business they were in. The gap is enormous. The business case for trust is well established. A lack of trust can create a number of problems for a company. It can impact reputations as conversation in the market place is fueled by assumptions of ill-will (like BP), gossip and innuendo, slower decision-making processes, as well as loss of sales. And the misbehavior of one Bernie Madoff can sour public perception for organizations that have never been connected to him.Â On the other hand, a company that has the trust of its customers or other stakeholders can count on better collaboration and decision-making, resilience in the face of a crisis (like Toyota), more word of mouth advertising from advocates, and fewer legal or regulatory costs. Trust matters to a lot more companies than a skeptical public might imagine. While there are egregiously self-interested firms that can be said to not care about trust, the larger part of the business world cares deeply. Yet, in the currentÂ environment, positive intent may not be enough to reclaim trust. One model of trust in relationships offers some lessons for senior executives and marketing specialists for how to reclaim trust with customers, partners and other stakeholders. The trust â€œformulaâ€ has four factors: Credibility, Reliability, Openness, and Self/Other Orientation. This model is adapted from David Maisterâ€™s â€œTrusted Advisor,â€ a classic in the field. All four elements in the model play an important part, but the fourth — Self/Other Orientation — can either undermine or enhance the other three factors. Credibility – The credibility of a firm is built on the truthfulness of its communications, its reputation, its experience base and credentials. If thereâ€™s a gap between what a firm says and the customer or partnerâ€™s experience, trust can break down. If the firmâ€™s reputation or verifiable credentials or experience donâ€™t line up with its claims or communication, trust can be lost. Marketing initiatives to build credibility center on brand alignment, certifications, client/customer testimonials, promotion and sales processes. Reliability â€“ The reliability of a firm is demonstrated in its actions. Does the firm follow through and keep its commitments? Does it create predictable experiences, does it set expectations that it can keep? Uneven quality, inconsistent experiences, poor performance, lack of follow up or follow through, all contribute to a loss of trust. Marketing initiatives to build reliability include product management and sales and customer service. Openness â€“ In interpersonal relationships, openness is often confused with sharing intimate information. That does not foster trust. Openness that fosters trust involves the risks takenÂ in the relationship, andÂ the discretion and empathy with which one treats other peopleâ€™s risks. In business life, this translates to transparency, and sharing information with stakeholders, sometimes hard-to-admit information like â€œwe made a mistake.â€ Marketing initiatives that demonstrate openness include stakeholder engagement, supply chain transparency, sustainability reporting and open design standards. Self/Other Orientation â€“ In individual relationships, we most deeply trust those people who we feel have our best interests in mind. So too with companies. We trust companies thatÂ care for our benefit as much they care about profit.Â Marketing initiatives that foster trust also include integrating social good into all aspects of mission, marketing and communication. Demonstrating this commitment amplifies the benefit of a firmâ€™s efforts in regards to Credibility, Reliability and Openness. Marketing initiatives that â€œgo firstâ€ involve making a stand for social and environmental responsibility in the communities and the environment where they operate. But efforts at these forms of conscious capitalism must be genuine, and seen as genuine, efforts to make a positive difference. Each of these qualities shows up in organizations in slightly different ways, but all lend themselves to meaningful measurements. As a result, organizations can benchmark perceptions and behaviors, and objectively assess progress towards trust goals.Â Companies can be comprehensively assessed on these four qualities to determine the greatest opportunities for reclaiming or enhancing trust with customers and other stakeholders. Kathleen Hosfeld is the principal of Hosfeld & Associates, a strategy and marketing firm.Â John Forman is the principal of Integral Development, a teaching and consulting firm focused on leadership, performance, strategy and decision-making. Freeze and wait. Thatâ€™s been the reaction of many to this time of economic uncertainty. While that works for animals who camouflage themselves in their surroundings until danger has passed, its wisdom only goes so far in the human marketplace. This strategy assumes that the â€œdangerâ€ will indeed pass, and that things will â€œget back to normal.â€ Early signs, however, suggest that the old status quo has been disturbed permanently. How much consumer and corporate behavior will change for good remains to be seen. Many agree, however, that this crisis has changed them in fundamental ways. In this time those that are thriving are doing something fairly counter-intuitive. They are moving in the direction of their hearts, and doing the things they long to do. As a result, they are stepping out of stagnant eddies into places where new energy and activity are flowing. I recently watched a short film called Lemonade that tells stories of people in the advertising industry who used their layoffs as a call to action. By unleashing the power of what was meaningful to them, their lives and careers were redirected in important ways. Around Thanksgiving 2009, I wrote a small blog article titled â€œLet the Beauty We Love Be What We Do.â€ Itâ€™s a challenge to counteract fear with a move toward what we love.Â What do you feel called to do? Now is the time. Take your own career or your organization in a direction you have always longed to go. It may not make sense and yet itâ€™s the right move. Yesterdayâ€™s logic is to focus on the numbers â€“ the numbers you can hit or the numbers you can earn. The new logic is to find the place where you can make a difference, the place that is meaningful to you, and let that energy carry you forward. Read the blog article I wrote and spend some time thinking about the beauty that you love. Reconsider your value propositions for key stakeholders.Â Are they compelling to you? Do they speak to your desire to make a difference in the world?Â Use our free value propositions worksheets for this exploration. I’m interested to know what changes you decide to make. Let me know. We live in an exciting time during which companies are questioning traditional models of marketing, and are pioneering new approaches that create better financial returns. More importantly, more companies are raising the ethical bar on their marketing and seeking to earn both the trust and loyalty of the market. 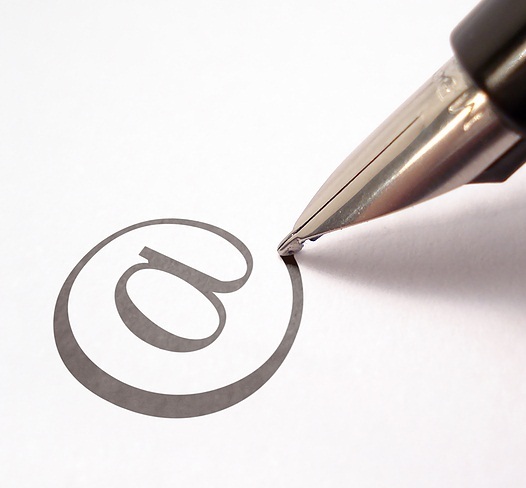 Stakeholder marketing is an approach that does both. Itâ€™s something that you may hear more about in the coming months. What is stakeholder marketing?Â Itâ€™s an approach that recognizes that the â€œmarketâ€ is not just a narrowly defined customer target (or series of customer segments). It perceives that customers are interconnected with employees, vendors, government and community, the environment and more.Â Itâ€™s based on the premise that in order to effectively conduct commercial transactions companies must engage with a system of interconnected partners, known as stakeholders. In the article Transformation of Marketing, I have identified three elements of the emerging model of marketing practiced by high-integrity companies: embracing a systems perspective, creating social good, and living the brand. Stakeholder marketing is an important part of embracing a systems perspective because it engages with the marketplace as such a dynamic system. It can also reflect the intention to create social good, depending on the degree of mutuality to which the company aspires. The intention of those whoâ€™ve practiced stakeholder marketing is to establish, cultivate and deepen positive relationships of trust between their organization and the groups directly affected by their activities. These relationships result in cooperation that helps a company further its goals. For many who practice stakeholder marketing, their goals include service to stakeholders as an end in itself not as a means to an end. Some organizations may see the value of stakeholder relationships only in terms of how they might help the organization achieve goals for growth or profit. Research indicates that stakeholder orientation in a firm correlates to improved financial performance. However, as those who have practiced stakeholder marketing will tell you, the rewards can be far greater. In the book Firms of Endearment, the authors assert that stakeholder marketing creates such positive relationships and perceptions with stakeholders, that those who practice it spend less to get the word out and to shape public perceptions of their brand. They benefit from significant word of mouth that is fueled by customer loyalty and advocacy. A primary characteristic of stakeholder marketing is that it is not an attempt to manage or control perceptions or behavior. Rather it expresses itself in efforts to engage stakeholders collaboratively to create value together. It incorporates a strong ethic of service not just to customers but also to other partners in the value chain. The following provides an evolving series of stances that organizations can take or have taken in response to stakeholders. Prior to the advent of the Internet, companies with the financial resources to do so could more easily control the information that audiences received about products or services. Customers and other stakeholders had neither the time nor the money to fully investigate all the companies from whom they might purchase products or services, or with whom they might work. As a result, during this time companies assumed that marketingâ€™s role was to create and protect perceptions of the firm and its products in order to sell. With the advent of the Internet, all stakeholders gained considerable new information about and influence over perceptions of companies, products and services. Stakeholders were better able to communicate out their experiences of a product, service or company. Other stakeholders were able to access this information, giving them information to either confirm or undermine the companyâ€™s own messages. As companies lost some of their ability to control those perceptions, marketing became somewhat more collaborative and transparent. â€œManagingâ€ perceptions and key stakeholder relationships was an evolution in marketing that acknowledged the difficulty of maintaining control while still seeing control as desirable. Stakeholder marketing takes a leap into the void by ceding a great deal of control and shifting to an attitude of servant leadership in the exchange process. According to research on companies who practice stakeholder marketing, such companies disclose more, share their standards, ask for feedback and act on the feedback they receive. A company that adopts stakeholder marketing sees innovation potential in finding ways to align stakeholder needs with its own, and has confidence in the good will, loyalty and trust that the process will generate. How does a stakeholder orientation change marketing planning? In a traditional environment, the company takes in information (from the sales force, from research, from analysts) and uses this to formulate its marketing strategies. In stakeholder marketing, the information gathering process broadens to employees, vendors/suppliers, distributors, communities and regulators â€“ the stakeholder groups that the company identifies as appropriate to its situationÂ — and continues as a form of dialogue. Gathering information from stakeholder groups, feeding this information to the right internal audiences within the company, and formulating responses are the inhale and the exhale of stakeholder marketing. This can seem overwhelming if the company does not have a clear sense of direction and mission. This is provided by clear value propositions. If, however, your definition of marketing is like Peter Druckerâ€™s â€“ the entire company as seen through the eyes of the customer â€“ then you believe that all departments and functions hold pieces of the marketing function, and stakeholder marketing identifies the opportunities all along the value chain to create value for all partners â€“ not just customers.Â The transformation of marketing requires the adoption of such a systems view which breaks down the silos between strategy, management and marketing. The Firms of Endearment authors assert that companies with a stakeholder orientation spend less money â€œon marketing.â€Â Based on the case histories of the book, which include Costco, Harley Davidson, and other recognizable names, I disagree. What may more likely be true, however, is that these companies spend less money on sales and promotional efforts â€“ such as advertising â€“ that seek to form or build positive awareness for their goods or services.Â Why? By virtue of their organizational behavior, and fostering authentic, positive relationships with stakeholders, they have earned such positive awareness. They donâ€™t need to buy it. As a result, I am tempted to think of principle-based stakeholder marketing as more than an approach. Itâ€™s also a philosophy of marketing that is collectively held by all members of the firm. If all companyâ€™s decisions are focused on the question of â€œwhat creates mutual value between our firm and our partnersâ€ the decisions that have the potential to benefit profit and growth can be made virtually anywhere in the organization. Getting started. Would you like more information on how to get started exploring or understanding how to implement stakeholder marketing? I am working on another article to describe that process. Let me know what you’d like that to cover. Please contact me with your questions and ideas. Many are the challenges facing todayâ€™s marketing practitioners as they seek to cultivate relationships with customers in a volatile economic climate.Â As a chief point of contact between the company and its customers, marketing is a place where trust is either won or lost.Â As many consumers cut back on spending, trust is one of the critical factors underlying purchase decisions. But research shows that decades of intrusive, coercive demand-creation efforts have created layers of resistance that are now compounding companies’ woes. 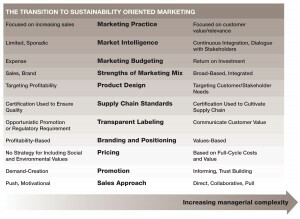 Is sustainability a business strategy than can transform marketing practice and begin the process of rebuilding trust? Sustainability, for the purpose of this article, is the management of an organizationâ€™s performance in service of financial, social and environmental objectives, with the intent of meeting â€œthe needs of the present without compromising the ability of future generations to meet their own needs.” (Brundtland World Commission). Transformed marketing is the emerging model of marketing practiced by high-integrity organizations, a subject I wrote about in The Transformation of Marketing. 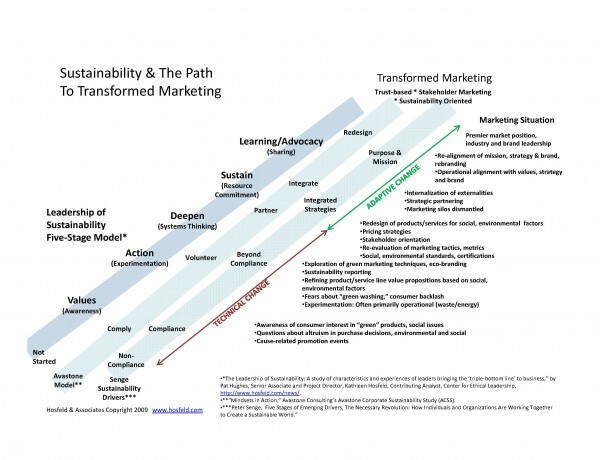 The relationship between transformed marketing and sustainability depends on the ultimate goal of both initiatives â€“ for businesses to operate profitably in ways that create benefit for many diverse stakeholders.Â In early stages of sustainability adoption, however, this shared interest may not be quite as evident. As engagement with sustainability deepens, the qualities of transformed marketing begin to appear. What are the Stages on the Road to Sustainability? Stage 1: Values (Awareness) Develop the will to take action. Stage 2: Action (Experimentation) Begin with a single project or experiment. Stage 3: Deepen (Systems Thinking) Explore implications of sustainability for all operations and decisions. Stage 4: Sustain (Resource Commitment) Commit to comprehensive plan with resource allocation (management focus, money), tracking and reporting. Stage 5: Learning and Advocacy (Sharing) Leadership and advocacy in industry; continuous learning. While not in exact agreement, these three models offer a surprisingly congruent picture of increasing degrees of intention and engagement. Each stage of engagement with sustainability presents its own marketing challenges and opportunities. See Diagram . Large Format PDF Early engagement with sustainability is focused primarily on operational and administrative changes that reduce waste and conserve energy. The primary goal of most companies in the early stages is to save money. At the Awareness Stage, marketers become conscious of consumer interest in â€œgreenâ€ products and the role of environmental and social issues in purchase decisions. Thereâ€™s also increased interest in cause-related promotion events that may have an environmental or social justice focus. At the Action Stage, companiesâ€™ experiments with sustainability may not yet translate well into promotional or brand messages. Still, marketers begin exploring how to leverage the value of these experiments for marketing purposes.Â They start to explore â€œgreen marketingâ€ techniques (those tactics that have an environmental impact) andÂ eco-branding (building environmental values into brand image). They may explore the process of publishing sustainability reports, and take more concrete steps toward refining product/service line value propositions based on social, environmental factors. At this stage, they are also concerned about accusations of â€œgreen washing,â€ in which companies are accused of promoting superficial efforts of sustainability merely for their image/PR benefits. At the Deepen Stage, however, both the organization and its marketing team are invited into the initial stages of what may lead to deep change. At this stage, the leaders we studied began to see the interconnections between their operational waste and energy strategies and â€œeverything else.â€ They started to see the impact of such changes on their vendors or suppliers.Â They began to see the potential response from community partners. They start to see the opportunities for collaboration in the community and industry to accomplish sustainability goals. According to other models, at this stage, companies also begin to see the opportunity in developing entirely new business strategies that integrate sustainability. Here we see a form of stakeholder marketing start to take hold as companies realize they have to manage increasingly deeper levels of conversation with the community, vendors, suppliers, and industry colleagues, not to mentionÂ customers.Â New business opportunities begin to emerge as companies realize consumersâ€™ interests in seeing social and environmental criteria integrated into the companyâ€™s core products and services. As a result, marketers who step up to the challenge may find themselves with new opportunities to lead conversations about the redesign of products/services for social, environmental factors and articulation of new pricing strategies.Â Design and pricing conversations lead invariably to engagement with standards and certifications that assure truthfulness in marketing claims. As they begin to appeal to customers with sustainability oriented values, theyâ€™ll also be challenged to re-evaluate marketing tactics that are perceived as coercive or intrusive. And as companies grapple with multiple stakeholders and holding financial, social and environmental values simultaneously, they may determine that the metrics theyâ€™ve historically used are no longer adequate. As companies and their marketers continue to deepen their engagement, the changes that they are asked to make move from technical change to adaptive change. In technical change, we donâ€™t fundamentally alter how we work. We add knowledge; we make incremental improvements in what we are already doing; and we stick basically to the strategies weâ€™ve been using. On the journey to sustainability, as in the path to transformed marketing, thereâ€™s a point where we are asked to begin to think differently about how we work.Â Fundamental assumptions are challenged. We embark on new initiatives and enter new territory where few have gone before us. We have to take risks and learn together. At the Sustain level of engagement, for example, marketers that have never before had to account for externalities in their pricing or product design strategies must now reframe the entire cost/value proposition of products and brands. An externality is a cost that occurs as a result of a commercial transaction that is not directly paid for at the time of purchase (the cost of waste disposal of an obsolete machine is one such externality). Embracing the rationale for why companies should account for externalities is the right thing to do is a radical reframe of the role of the business for many. At this stage, companies also commit resources to developing strategic partnerships and fostering internal and external collaborations that bring additional expertise to bear on specific tasks. At the Learning/Advocacy stage, companies are beginning to hit their stride in sustainability and are thinking about their businesses in fundamentally different ways than they did at the beginning of the journey. Sustainability is not something they â€œdo,â€ itâ€™s part of their core identity. As a result, marketers are often engaged in processes to rebrand and reposition the firm and its offerings in light of this full commitment. Additionally, companies are increasingly seen and act as thought leaders in their industries â€“ advocating for sustainability practices, and sharing knowledge about their experiences.Â Creating open standards and sharing expertise, rather than protecting company secrets for competitive advantage, is one of the adaptive challengesÂ of this stage. Embracing a Systems Perspective â€“ Companies began to embrace a systems perspective at the Deepen stage. An emerging web of relations and interconnections â€“ in customers and markets, in the dynamics between community groups and strategic partners â€“ continues to unfold for them as they gain experience. Creating Social Good â€“ By this stage, sustainability is less about something the firm does to make money, and has become more a way of life. The intrinsic value of building social good into the purpose and mission of the organization has become self-evident. Living the Brand â€“ The alignment of values, strategies and operational practices has advanced much more deeply, and as a result the companyâ€™s brand and image has authenticity and integrity. Trust is often a core brand value, and the companyâ€™s promotional practices are measured against that value. At this stage of engagement, the coercive, intrusive, unethical and wasteful practices that undermine marketing have been eliminated by engagement with the values of sustainability. Additionally companies have cultivated relationships with stakeholders that allow for timely feedback on whether company practices are compromising brand promises or shared values. This feedback allows the company to self-correct more quickly and restore balance and integrity to its marketing practices. As always, we invite your comments, experiences and stories. Please write to us. See the related article: Fulfilling Sustainability’s Potential: Growing the Top Line – about the role of marketing in creative strategic sustainability innovation. The phone rings at our house on any given evening. A member of our family looks at the caller ID. “It’s Evans Glass,” he or she calls out to the rest of the house. The call goes unanswered. This is one of between four to 10 calls we receive from Evans Glass each week. We made the mistake once of talking to someone going door to door offering estimates for window replacements. When we found out that the estimate process would take two hours, we said, “No, this isn’t what we want.” We asked that they not contact us again. They have continued to call. And call. And call. This is one of the practices that have led to another kind of call – a call to “reform” marketing. These and other common marketing practices “work” for companies – they do result in sales. However, research shows that there’s a long-term consequence associated with intrusive and coercive tactics: cynicism and resistance on the part of consumers. Studies by the American Association of Advertising Agencies and Yankelovich show that from 1964 to 2004, the number of people who say their feelings about advertising have become negative grew from 15% to 60%. Forty-five percent of consumers say that the amount of advertising they are exposed to every day detracts from their experience of everyday life (Yankelovich). Yet, companies are spending more to overcome resistance, doing more of that which created the resistance in the first place. This is a vicious, self-perpetuating cycle. What’s to stop it? Some believe that more regulation is the answer. While regulation and public policy always play an important role in systems change, a change from within – a transformation – will ultimately reach parts of the system that regulation can’t touch. Pioneering firms have been blazing this trail for almost two decades and research is starting to show that companies that take a higher road are achieving higher returns as a result (Studies by Sisodia, Raj, Jag Sheth, and David B. Wolfe in 2007; Sully de Luque et al. in 2008; Kearney in 2009). Consider this article an introduction to a much wider conversation about how pioneering firms are transforming marketing. To start that conversation, I’m offering a 50,000 foot level management perspective of the model of marketing that is emerging as an alternative to the vicious cycle described above. This includes sustainability and the triple-bottom-line, but this is not a model of sustainability marketing per se. It’s meant to suggest a model of marketing that is emerging in companies who have made sustainability a way of life and are continuing to evolve. I have avoided references to tactical execution and, for now, case histories. I’ve avoided elements that might be more appropriate for specific industries (hard goods manufacturers), and tried to synthesize elements that are universal to all firms. In working with clients, I often translate assessments into “Key Issues” for the sake of simplifying what must be addressed to accomplish their objectives. Key Issues are sheltering wings under which a variety of other issues or factors can find a home. In the following diagram and text , I frame three “Key Issues” for transforming marketing, and some (but not all) of the factors they represent. A Fundamental Assumption: The most important difference between companies that are transforming their marketing practice is their interpretation of the purpose of marketing. In traditional practice marketing is about “selling stuff.” This follows the perception of the purpose of the business, which is to create profit. In firms that are transforming or have transformed marketing, marketing is about creating value for stakeholders – not as a means to an end (profit) but rather as the end in itself. Within this shift, profit is the measurement of how well the organization is achieving that end. Adopting a Multi-Stakeholder Orientation – In transformed marketing, the organization enlarges its focus from stockholders to stakeholders who include investors, employees, customers, partners and society. The intent is not to “manage” stakeholders but to serve them. Cross-Functional Collaboration – In the traditional paradigm, marketing is frequently siloed and given increasingly tactical focus. In transformed marketing, value creation for stakeholders (marketing) is everyone’s job and requires cross-functional collaboration across departments – finance, human resources, manufacturing. Industry Collaboration and Partnerships – Organizations transforming marketing are not isolated competitors seeking dominance and hoarding information. Rather they participate in industry collaborations to advance standards or other initiatives for the benefit of stakeholders. Reclaiming the Marketing Mix – In traditional practice, marketing has increasingly focused on sales and promotion due to an emphasis on measurement. Organizations that are transforming marketing seek to maximize stakeholder benefit through all aspects of the marketing mix (product, price, promotion, distribution/sales). These marketing decisions may not take place in the marketing department per se but through cross-functional collaboration. Purpose and Culture Founded on Ethics and Responsibility – There’s a constant focus in these organizations around “doing the right thing,” which begins with purpose and a culture that supports ethical action. Defining Success Beyond Profit – Financial measures are insufficient determinants of success for many organizations who care deeply about their impacts on the environment, on customers, on employees, vendors and more. Whether it’s two, three, four or more “bottomlines” – transformed marketing evaluates success in more than financial terms. Organizational “Calling” – Those practicing transformed marketing are guided by goals that serve a shared understanding of the organization’s “calling” or intent to create stakeholder (or world) benefit. Sharing Power in Exchange Relationships – Transformed marketing seeks to create partnerships with stakeholders in which power is shared. This capacity separates these organizations from those that are merely well intentioned, yet feel entitled to cajole customers into decisions that are “good for them” or to “sell what we make” without meaningful input from the customer or market. Brand Rooted in Clear Differentiation Strategy – In transformed marketing the brand is rooted in a solid business model that articulates a long-term strategy for creating value for stakeholders distinct from that of other firms. By contrast, head-to-head competition or competition on perception alone reinforces the vicious cycle of promotion to compete, leading to ethical “trade-offs”, and a firm-centric view. Operations Aligned to Fulfill Brand Promises – The “operational side of branding” means taking the brand deeply into every aspect of the organization. This requires translating the implications of the brand for the day-to-day functions of departments. Representative questions to ask in this process include: What type of person should we hire to reflect the brand values? How does the brand change what our office looks like? How do I need to share information with other departments in order to help them live the brand? Commitment to Stakeholder Benefit – The “right thing to do” in a transformed marketing environment is a radical commitment to making sure all aspects of brand execution translate into benefit for stakeholders. This includes ongoing reflection and action concerning methods of creating products/services, their features and benefits, the materials they use and the transparency with which the supply chain is managed. Although the era of sustainability shines a brighter light on companies who practice marketing in this way, many companies – including ours and our clients’ – have been marketing in the spirit of the emerging model for years if not decades – long before frameworks for sustainability or the triple bottom line were as accessible as they are today. As more organizations adopt social enterprise models and similar forms that blend mission and revenue creation, transformed marketing offers an approach that better fits their values. Many of the companies who have been pioneering in this model have done so based on the intuitive conviction that it was simply “the right thing to do.” We are fortunate in this time that research, including the studies referenced above, is confirming their collective hunch that a seemingly radical commitment to marketing that works for all also turns out to be a good way to make money. Many today are trying to approach the triple bottom line from a single-bottom-line perspective. Perhaps now there’s enough empirical research to encourage such firms to explore this emerging model more deeply. There are many stories to tell and many interrelated ideas to unpack as we continue our own exploration. We’d love to hear from you about your experiences, ideas and questions. We in the Seattle area watched this month as nearly three decades of changes in the newspaper industry brought down the Seattle Post-Intelligencer. It would be simplistic to say that loss of the original purpose was the turning point in the newspaper industryâ€™s demise. Many complex factors including the rise of the Internet have contributed to their current dire circumstances. While many reporters and editors remained motivated by the ideal of a free press, their management was focused on a specific form of revenue creation (selling advertising) which did not allow newspapers to adapt as the market has changed. Ted Levitt made this point years ago in his famous â€œMarketing Myopiaâ€ article: adapting over time means focusing on the evolving needs of customers, not selling a particular business model. Holding fast to the importance of a free press as an agent of enlightened democracy might have helped newspapers cling less tightly to the advertising paradigm and evolve their revenue models in service of the greater purpose. Taps the motivation and passion of employees and other stakeholders. According to an article in the February 12 Gallup Management Journal, itâ€™s more critical than ever that businesses and customers know what companies stand for. A friend of Hosfeld & Associates, Kip Gregory, author of Winning Clients in a Wired World, also runs a purpose-driven business. He works with clients to help them tap the enormous potential of the Internet and everyday technology to make their businesses more profitable. For Kip, the Internet is a banquet and many businesses canâ€™t find the door in. Kip is successful because people recognize heâ€™s not a geek who loves technology (not that there’s anything wrong with being a technology-loving geek); but a client champion who uses technology to make them more successful. Studies suggest that purpose-driven businesses outperform companies without a purpose. Southwest Airlines is one of several firms cited in the book Firms of Endearment, which describes the characteristics and performance of companies committed to a purpose. Firms of Endearment (or FoEs) that they studied returned a 1,026 percent for investors over the 10 years ending June 30, 2006, compared to a 122 percent return for the S&P 500. Companies with purpose are not immune to economic downturns. Some of the firms described in the book, including Harley Davidson, have taken significant hits in the last several months. Yes, further studies suggest that companies committed to purpose recover more quickly after economic challenges. Companies with purpose, those that take a stand and build their business on making the world a better place, stand out with consumers. They foster trust and loyalty. Companies with loyal customers succeed in good markets, and have more going for them in difficult times. If you’d like to find out how to align your organization’s operations and brand around a compelling purpose, please contact us. Thousands of sustainability oriented startups are creating game-changing innovations in products, services, industry partnerships, supply chain management and more as they seek to integrate values of social justice and environmental stewardship into their business practices. As startups, they represent one part of the new sustainability economy. The other side is existing â€œtraditionalâ€ businesses seeking to integrate sustainability into both the culture and business processes at the same time. For the former group, the challenge is making it work without a roadmap. For the latter, itâ€™s creating change in systems that seem to have worked â€œjust fineâ€ before sustainability came along. Until recently, there hasnâ€™t been much recognition of the role that marketing can play in furthering sustainability. Superficial promotional claims of green characteristics of products and services in the 1980s — whatâ€™s now known as â€œgreen washingâ€ — actually created something of setback for the sustainability movement. Today, marketing functions â€“ such as product design or supply chain transparencyâ€“ that are critical to success may not â€“ in some organizations â€“ have been seen as part of marketing. As more organizations have succeeded in integrating sustainability, marketing researchers and people in the field are noticing an emerging picture of what sustainability oriented marketing looks like. Many of these organizations express these characteristics as â€œauthenticityâ€ â€“ saying they reflect their values (â€œThis is who we areâ€). Comparing Jennyâ€™s interview data with my consulting experience in the field, we have created a series of polarity diagrams that demonstrate the contrast between marketing that is not at all sustainability oriented and marketing that fully embraces sustainability. This comparison begins to create some guidelines for those companies who want to practice sustainability oriented marketing. This offers a picture of what they might or should be striving for. We suspect that lower profitability on the left side is the result of a more limited marketing skill set that coincides with a simplistic approach. priority. Without this, the pressure on marketers to drive only short-term sales targets will create either/or situations where marketers are forced to choose between profit and sustainability goals. Figure 1 contrasts the managerial orientation of the two ends of the spectrum. What we see in organizations that make this transition is that at some point the expectation of the marketing function flips. The extreme polarity on the left represents marketing as strictly the job of â€œselling.â€ (Again itâ€™s important to stress that the two ends of the spectrum are not descriptions of actual businesses, but rather extreme points of view.) At some point, exemplary organizations pursuing a triple bottom line demonstrate a perspective that marketing is the stewardship of relationships in the context of assumed reciprocity. They certainly donâ€™t remove the sales imperative from the table. However,marketing is charged with accomplishing the goals of the organization for sales, profit and mission by providing superior benefit and relevance to not just customers alone but also to other stakeholders. 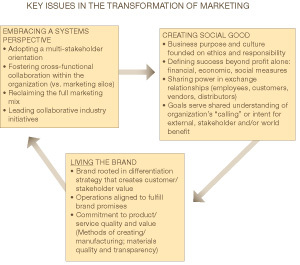 Figure 2 depicts the key relationships of which marketers become stewards in a sustainability oriented setting. bear â€“ sustainability oriented organizations must develop the capacity to measure the full cycle cost of a product or service and base their pricing accordingly. The approach to market intelligence or customer research also changes. On the left, consumers are studied so that their needs can be addressed in sales and promotion. Sustainability oriented marketers, on the other hand, seek to foster ongoing dialogue with customers and other stakeholders. Itâ€™s considered a continuous conversation, where even â€œco-creationâ€ may take place when that is valuable on both sides. Another characteristic that was noted from Jennyâ€™s study is that in sustainability oriented marketing, marketing functions and expertise are dispersed throughout the organization. Marketing â€“ or rather stewardship of stakeholder relationships â€“ is â€œeveryoneâ€™s job.â€ Itâ€™s important to note that many companies who havenâ€™t consciously adopted sustainability principles yet practice a high degree of ethics and have high standards for authenticity and trust in customer and other stakeholder relationships. We sense that these companies are well placed on the continuum toward the right hand side of the polarity diagrams even if the ideas of social justice and environmental stewardship are not yet part of their corporate consciousness. Marketers need to be supported in integrating sustainability and its values into their practices. They may need to be challenged to hold financial, social and environmental goals simultaneously. Or they may need assurance from the top that the company is serious about measuring success by all three. Marketers may also need to be challenged to think and act from a systems perspective. They need to be supported and trained to look for â€œthird wayâ€ solutions rather than seeing multiple bottom lines as areas for trade-offs. In the end this may pay off in innovation. The ability to hold multiple objectives simultaneously and search for the â€œthird wayâ€ has led, in the past, to new products and services, as well as more efficient manufacturing and delivery systems. A “printer friendly” version of this article, with larger graphics, is available here. We live in an interesting time in which the structures of one era exist side by side with those of a new one that is emerging. On the one hand we have the â€œbusiness as machineâ€ and â€œmarketing as war” metaphors. In the early days of the corporation when people were trying to get their heads around how to direct large workforces â€“ which were new to their experience â€“ the only reasonable comparison was the mobilization of troops and resources for war. At about the same time, people were trying to make management and the enhancement of human work performance into a science.That meant breaking down work roles into components, isolating variables and trying to measure them for potential improvement. But a metaphor is just a lens. Sometimes it doesnâ€™t help us to see all that we should in a situation. Sometimes it colors our perceptions in ways we donâ€™t want. In the last several decades many have been looking for metaphors that reflect the more dynamic aspects of organizations, markets and economies â€“ the parts that seem to elude our attempts to control them. They are looking for metaphors that are more comprehensive than war. One metaphor to explore is that of â€œmarketing as a garden.â€ Many have suggested that economies are living systems and bear resemblance to dynamic ecosystems. Letâ€™s make a distinction between a wild ecosystem and a living system that has been shaped by human intention. A garden is a living system that exists because a human being or human beings created it. While we donâ€™t have control over all the dynamics in the garden, human influence determines a great deal of what occurs. Our organizations, markets, industries or economies might be considered gardens shaped by human actions, but still influenced by forces outside human control. First, when we look at the dynamics of a living system, we discover that itâ€™s difficult to completely separate all the processes at work into discrete boxes. Managers today tend to make artificial distinctions between marketing and management, finance, manufacturing, research and more. The distinctions will depend on how one defines marketing itself. Letâ€™s assume that our definition of marketing, for the moment, is the actions of an organization to attract and keep customers. We could say that price-setting is a marketing function. But frequently a marketing decision is also a management decision. Price-setting is determined in part by knowledge of what the customer can and will pay. But it is also a management decision that has to reflect the costs to produce and the companyâ€™s goals for profit. Product development is another example. The design of a product impacts the customers who will be interested in it; itâ€™s a marketing issue. Itâ€™s also a management and manufacturing issue. The choosing of which customer segments/markets to enter is often reserved for senior management and strategists. This can also be a marketing decision; marketers have experience in the field that helps determine which segments are the best fit for the companyâ€™s strengths. Marketing is actually a set of complex, interrelated actions/decisions taking place within a dynamic system. This is mirrored in the nature of living systems, where various natural â€œsub-processesâ€ serve multiple functions â€“ those that can be compared with marketing and those that are more â€œmanagementâ€ functions. One conclusion that can be drawn, and has been drawn already by theorists, is that a system view of business means that marketing canâ€™t be separated from management. The silos we have created between marketing and other organizational sub-systems are artificial distinctions that actually impede interaction needed for the optimal health of our garden/our business. A second interesting idea comes when we consider the nature of competition in a living system. As some have sought new metaphors of organization, theyâ€™ve thrown out the idea of competition completely and replaced it with the ideal that all companies should just â€œget alongâ€ and collaborate. If we look at living systems, however, we have to accept that competition is a fact of life. Only just so many organisms can be supported by the resources found within the boundaries of a specific ecosystem. Only just so many companies can serve the same set of customers with a similar product. What we find in living systems, however, is that the more similar two competing organisms are, the more intense their competition. Conversely, the more differentiated two competing organisms are, the more likely it is they will achieve an equilibrium that allows both to prosper. In business, we see this when two companies operate too similarly and offer the same essential product or service â€“ theyÂ compete more intensely. Companies that do not compete head-to-head are more likely to peacefully co-exist, or even partner, with others in their marketplace. This second lesson from living systems underscores the need for organizations to develop and sustain strategies that set them apart in ways that are meaningful to customer. These two implications are likely just a starting place for cultivating the metaphor of the garden. What can you see through this lens? Plant the idea in the back of your mind and see what sprouts. Note: Some of the ideas within the following journal articles contributed to this essay: The Anatomy of Competition, by Bruce Henderson, Journal of Marketing; and General Living Systems Theory and Marketing: A Framework for Analysis, by R. Eric Reidenbach & Terence A.Oliva, Journal of Marketing. Once a year or so, my mentor and former professor, Cliff Rowe, asks me to return to Pacific Lutheran University to speak to one of his classes about communication ethics. I sit in front of a classroom of about 20 students who have varying degrees of interest in how I apply ethics to my work. Most are polite. Some fall asleep. In recent years, the students have started asking if I use the TARES test in my work. I always have to say I donâ€™t, because I didnâ€™t learn the TARES test, which was published in 2001, when I was in school. But, in fact, the philosophy of the TARES test is reflected in everything we do at Hosfeld & Associates. What is the TARES test? Itâ€™s a five-point test for what the authors call â€œethical persuasion.â€ Published by Sherry Baker, a professor at Brigham Young University, and David L Martinson, of Florida International University, the TARES test seeks to establish robust principles for ethics in action and to support the creation of a more ethical approach to persuasion â€“ particularly commercial persuasion such as takes place in the marketing process. Is this communication factually accurate and true..? Does it lead people to believe what I myself do not believe? Has this appeal downplayed relevant evidence? Does this action compromise my integrity? Do I feel good about being involved in this action? Do I truly think and believe that the persuadees will benefitâ€¦? Is the persuasive appeal made to persuadees as rational, self-determining human beings? Does this action promote raw self-interest at the unfair expense of or to the detriment of persuadees? Am I doing to others what I would not want done to me or to people I care about? Do the receivers of the message know that they are being persuaded rather than informed? Does this action take responsibility to promote and create the kind of world and society in which persuaders themselves would like to live with their families and loved ones? Have I unfairly stereotyped constituent groups of society in this promotion/communications campaign? I was startled the first time I read it. It took a moment to sink in. Ogilvy was speaking at the time when most of the industry was populated by white males. We can pardon him some 1960s sexism because he got the basic idea right. He may have gone on to say â€œOr your mother, or your daughter.â€ He was trying to tap the innate empathy we have for people we love, for whom we want the world to be a good, safe and equitable place. He was trying to make the connection between what we do as persuaders and how that affects the world. So, consider the TARES test and how it applies to your advertising, sales materials, media relations â€“ in short, all marketing speech. Let it spark your imagination as to the kind of world youâ€™d like to create with your work. To learn more, you can order the original scholarly paper (an easy read that includes all the questions), from Lauren Erhlbaum Associates Online: http://www.leaonline.com Title: The TARES Test: Five Principles for Ethical Persuasion.